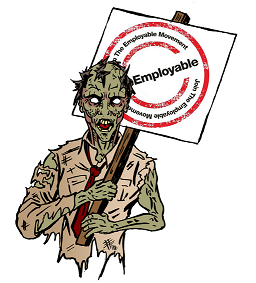 When we first thought up ‘Takeover Tuesday’, we could not think of anything cooler to start this monthly feature, than Zombies taking over TheEmployable. 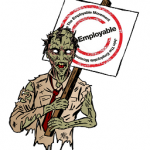 Thankfully Uproar Comics came to the rescue with their new comic, Zombies Hi, which is currently in its third addition…..
Where are you at with regards to this as a viable commercial business? 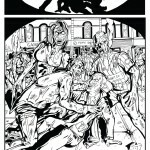 network which branches out to as far off as Dublin, started up a website (Uproarcomics.co.uk), began an innovative promotional campaign, doing a lot of events, and been meeting many people within societies and groups about creating comics for their own needs, not to mention our online presence with Facebook. All this in the last 6 months. So as a viable business goes, we are well on our way. But the one thing that makes it all viable is having the drive to ‘get up and go!’. We have a great team, with passion and dedication. And so the motivation to make it viable. 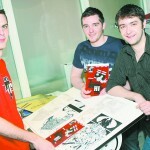 Well as you can imagine there not a lot of courses specific to the creation, publication and marketing of comics. 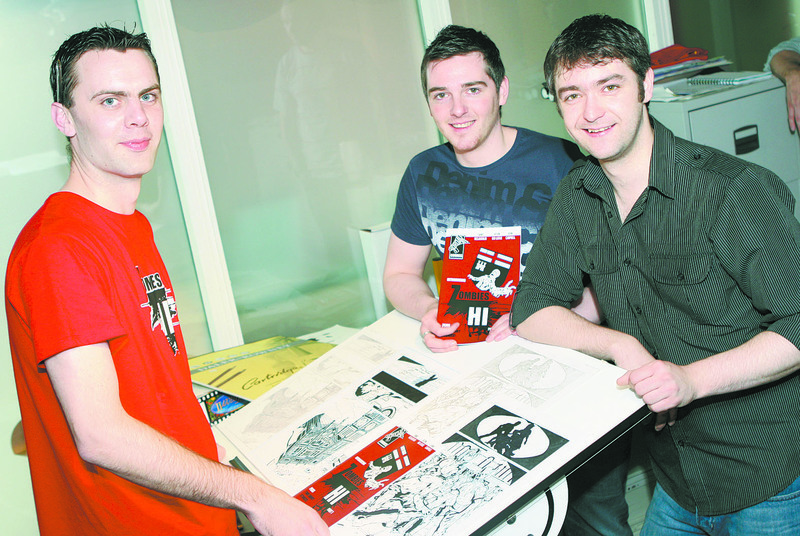 But through the Verbal Arts Centre in Derry a course was set up called CADI (Comic Art and Digital Illustration) that’s where we went, met with like minded people, who desired to do comics. This gave us the opportunity to be a part of a comicbook anthology. 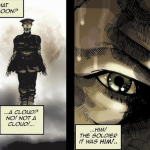 This is where the hunger began… but as for the Uproar Team no one was taught specifically in the vein of Comic Art, it was more of a hobbie to each, as everyone involved has a fulltime job, from barman, to welder. And as for the business aspect- it’s been a learning curve for all involved. What was the inspiration behind setting it up yourselves? to do. Anyone in the industry writes or does the artwork, they go to work a for a comicbook company, like marvel or DC, but the way it works is that you have to write stories for pre established characters, and they want art which sells not which is what the artist wants to do. So for us the inspiration was to have no limits, we call the shots, we create the characters and we tell our stories. We have always aimed to challenge the medium and other peoples preconceptions of what it can do. So we just did it. What have you found the toughest part so far in taking your idea, from drawing board (sorry) to reality? Main thing I have to say is knowing what you’re doing. There is no real guide. So finding the avenues you want to go down would be the toughest, especially with no experience of doing anything like this before, also the fact that no one has really done what we have done before. But there is the realisation that you have to look and explore any avenue possible. Being willing to change and adapt your business plan is paramount, we started with a different plan, but when we came to hurdles, we found a way to jump them. Getting stuck with a plan that isn’t working and deciding to change it was tough, but it’s fun. Within the comic book fraternity, is there particular artists that have inspired your design? I noted, we’ve never really seen something like the format that we are doing except 2000AD. They have short stories and an open submission policy, but they are limited. They work as a magazine with articles and advertising. We don’t! As for the artwork, the inspiration comes from different mediums. Artists like Mike Magnolia and Frank Miller show us how good heavy black work can be, Declan Shalveys’ work has such energy and atmosphere it’s hard not to be inspired! But when it comes to the type of shots we use, we draw more from TV and film, and when we’re laying out the panels on the pages we hone towards J.H Williams. Have you had much support from funding bodies, or are you at that stage as yet? Initially, that was our plan. Funding seemed to the only way. But as we found out it’s a long and winding road. We just needed to hit the ground running, so we just went ahead and did it ourselves. But we have been networking with funding bodies and hopefully in the future they will provide an avenue for us to expand the business- everything is always an option. Whats the plans now, I am imagining its all about getting it stocked in as many places as possible? people aware of us. Widening distribution is always the plan. 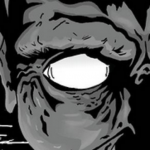 But our main focus now is to get issue 4 of zombies hi out and in the shops in the next few weeks, but also doing live events too, like we have been invited to Galway to take part in the NUI Comics Fair, and we will be launching the comic in waterstones in Drogheda too soon! So, yeah, it is about distribution, but also about promoting, and with possibilities of merchanising, such as t-shirsts etc, so a lot more on the horizon. And where, as a business would you like to be in say, two years time? 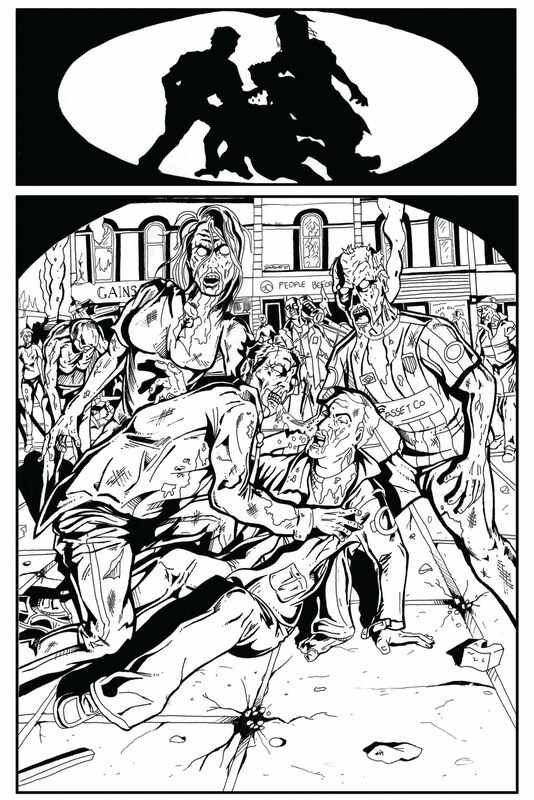 Two years time, well firstly, we want to be selling comics, not just ‘Zombies Hi’ but other series’ all over the U.K. and the U.S. We want to be selling on a global scale. We want the comic available as an app on ipads and smartphones. We want people to come to us if they need a comicbook done, or storyboarding, writing scripts, anything really! 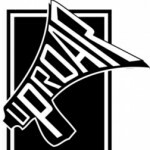 Our team, Uproar Comics, is in it for the long haul, and we want this as a career, and a business to be proud of. In two years time, we want to be saying ‘we’ve come a long way’! 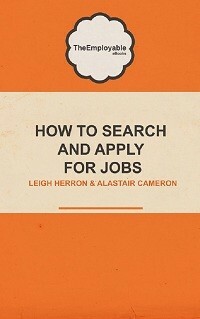 Great interview guys, very inspirational – sounds like you are off to a flyer! Looking forward to getting Part 3, first two were great!! All the best!